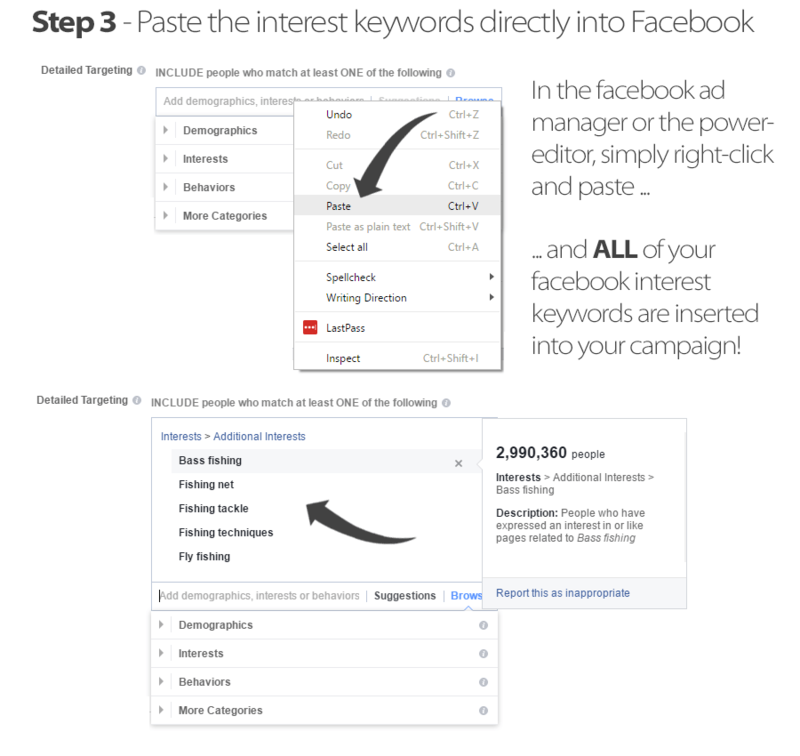 Facebook Interests ToolUncover thousands of interest keyword phrases directly from Facebook's internal database through their marketing API! 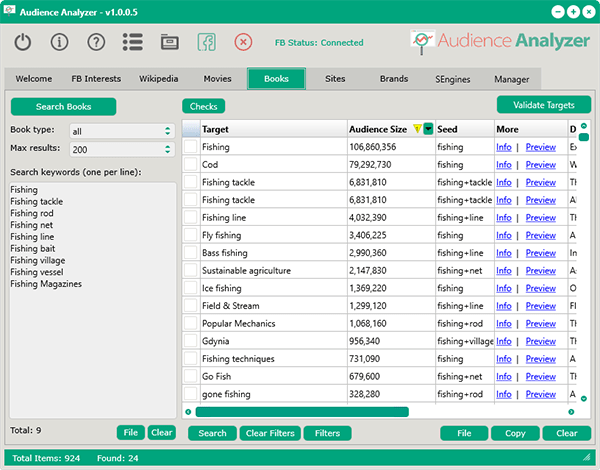 Wikipedia ToolInstantly pull thousands of keywords from Wikipedia for ANY niche imaginable, and then verify if the keywords are facebook interests at a click of a button! 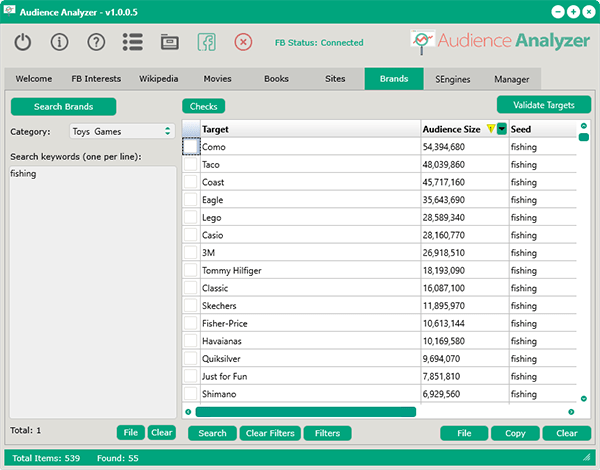 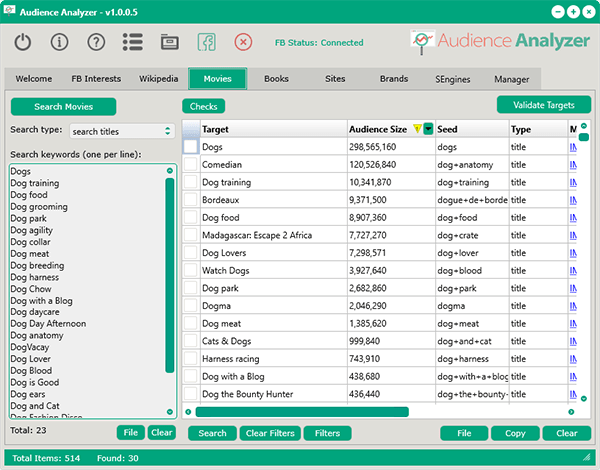 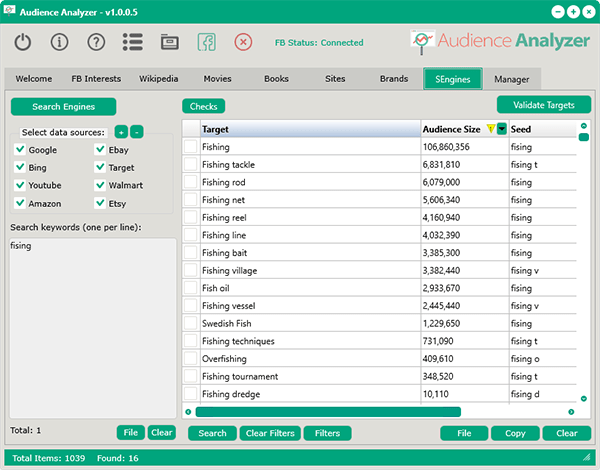 Movies ToolSearch movie titles and actor/actress names to uncover super-targeted interest keywords! 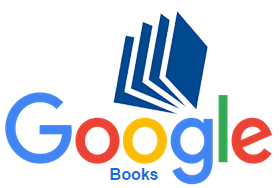 Books ToolInstantly search book & magazine titles directly from Google book's internal database! 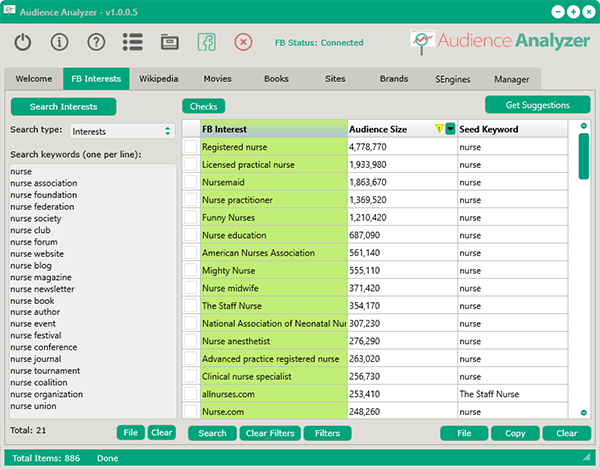 Sites ToolFind thousands of web site names to use as highly-targeted interest keyword phrases! 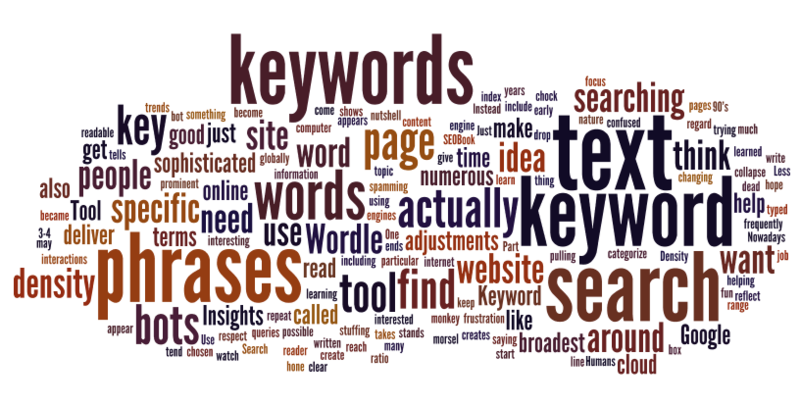 Brands ToolTarget brand name interest keywords for ultra-targeted results! 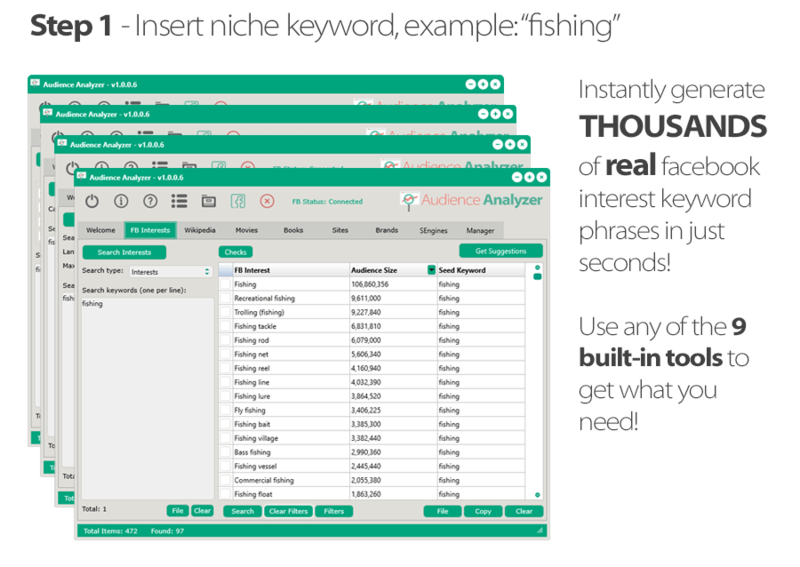 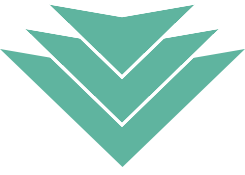 Search Engine ToolQuickly expand your keyword spread by extracted thousands of more keyword phrases from the top search engines and top ecommerce search engines! 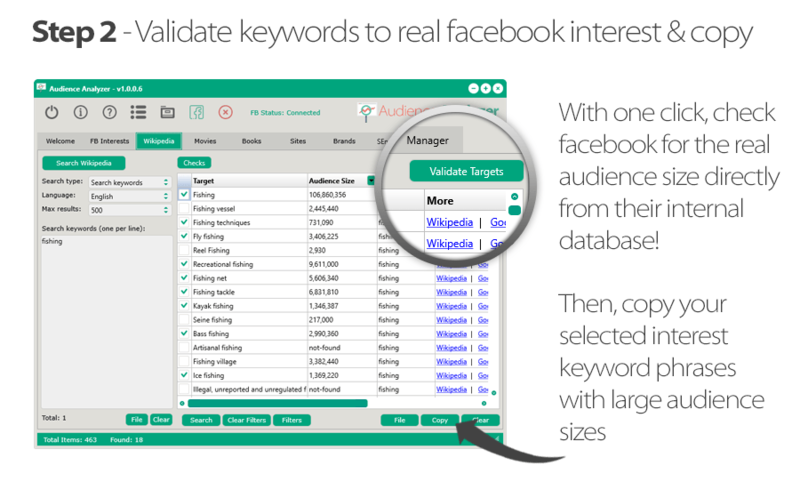 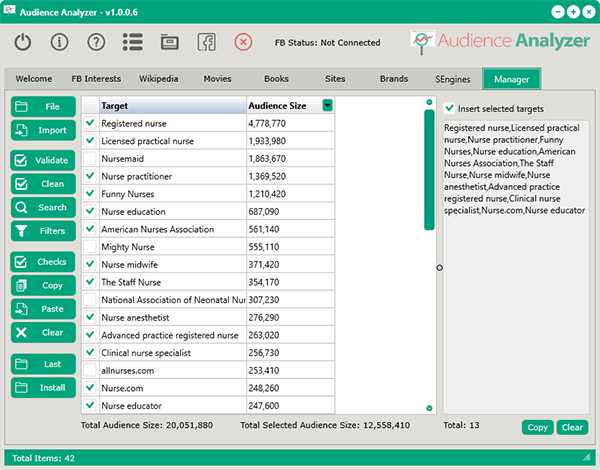 Targets Manager ToolQuickly manage all your Facebook interest keywords in one easy-to-use target manager tool!How Can AudienceAnalyzer Help You?It's as simple as 1 - 2 - 3 ... type in your main niche keyword using one of the 9 built-in tools, validate the keywords, then copy-and-paste them into your facebook ad campaigns! 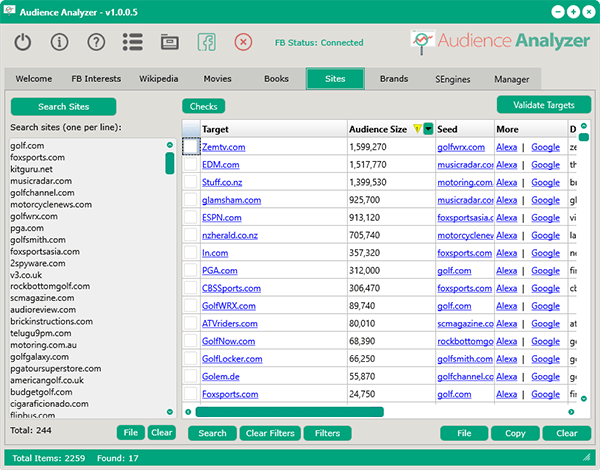 BONUS Built-in Category Targets Browser Tool!This "Never-Seen-Before" unique tool allows you to instantly browse into the 1,000+ built-in category targets that facebook provides you! 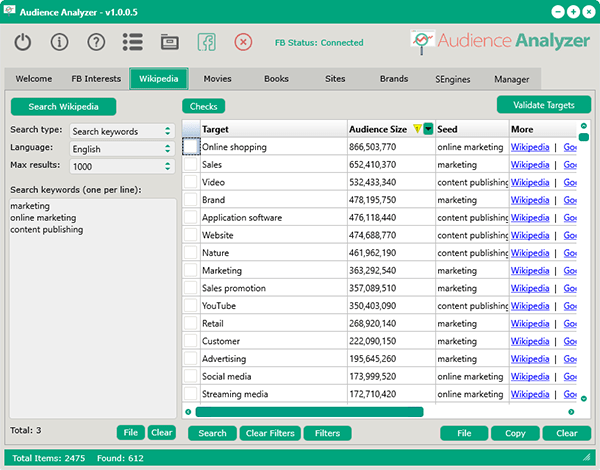 BUT, the big problem is having an easy way to view what you REALLY need! 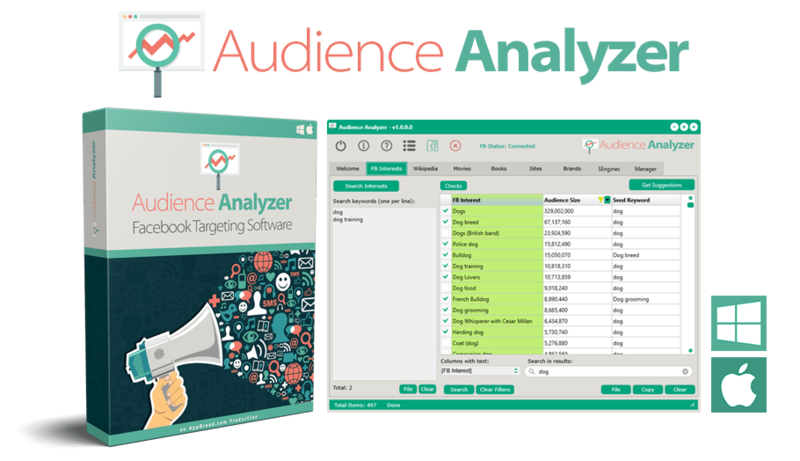 ... check this out:Stop Wasting Hours of Time!Now you have the power to quickly dig deep into facebook's built-in category targets without spending hours browsing through their hard-to-use interface! 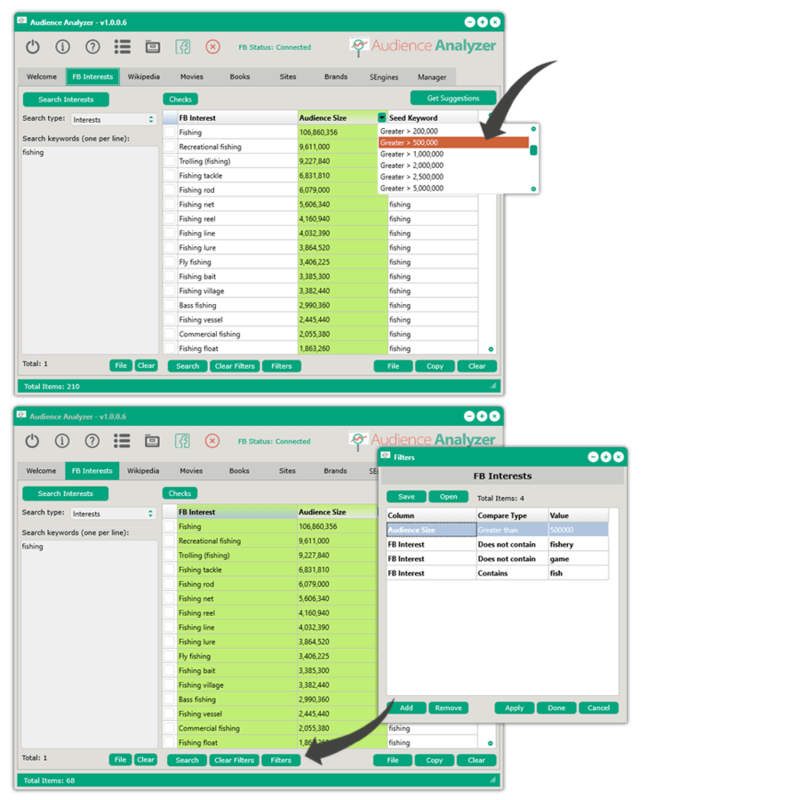 Dial-In Your Research using Filters for Getting the Exact Data You REALLY Need!Use the blazing-fast quick-filters from the top of the columns or use the integrated filter window for creating more customized filters to fit all your needs!